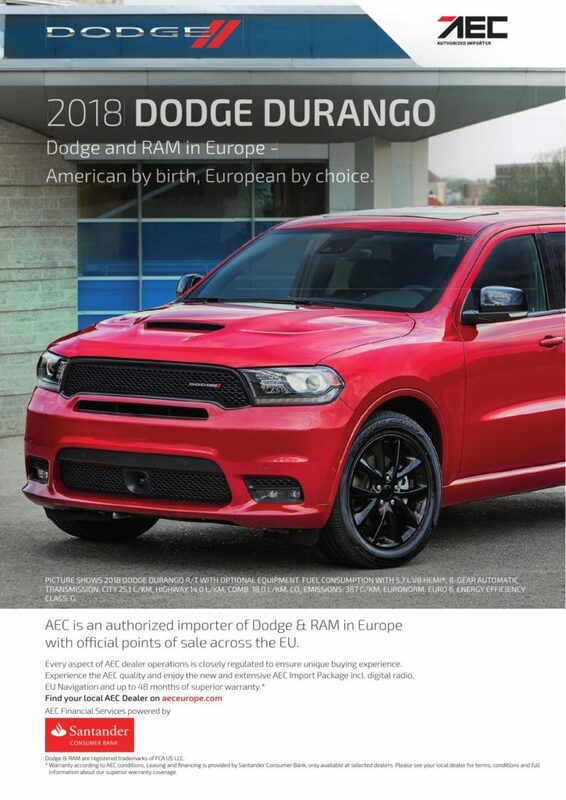 AEC is a general distributor for Dodge & RAM branded vehicles for Europe (EU & EFTA). For you as our dealer this means a unique opportunity of becoming an official sales and service point for the Dodge & RAM brands. 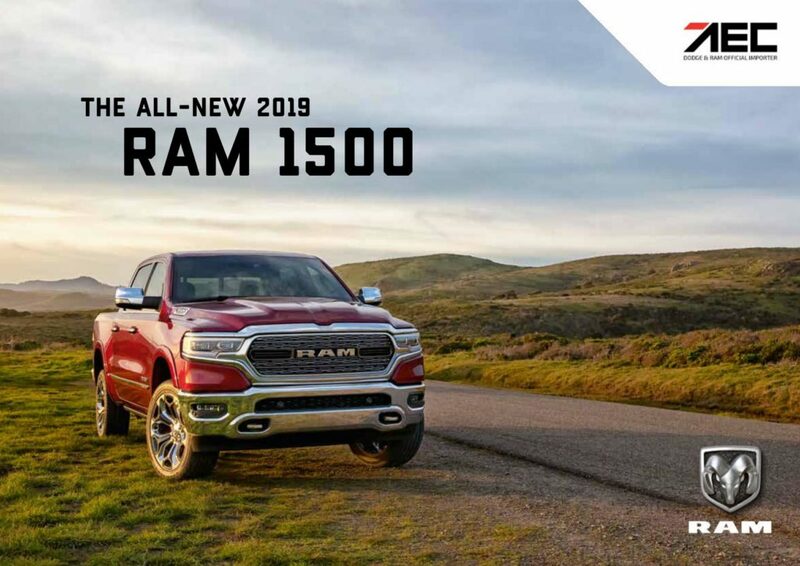 As part of this process, dealers can receive full access to manufacturer’s supported activities including Dodge & RAM corporate identity, service certification and technical training. 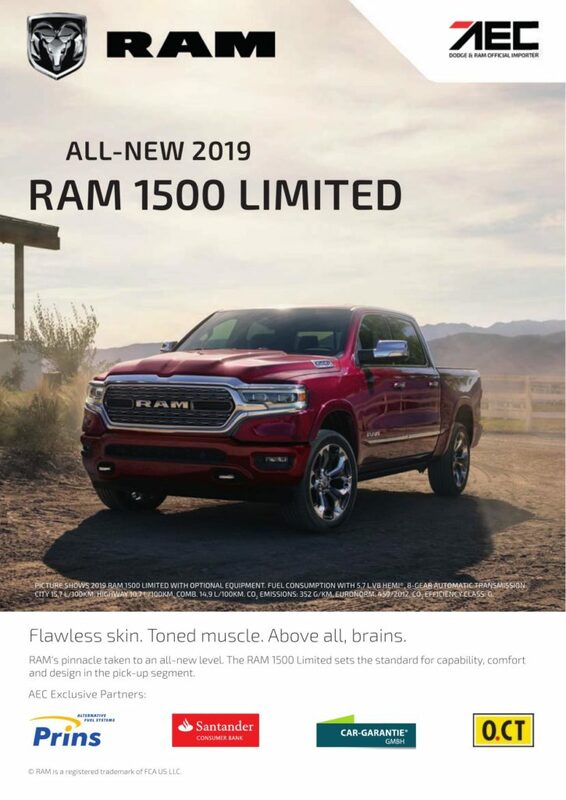 Official Dodge and RAM Sales & Service contracts. A transparent contract from an experienced partner offering superior services. AEC has been appointed as a general distributor for Europe and offers its dealers official sales rights for Dodge & RAM vehicles. AEC has a vast experience in collaboration with the manufacturer. The dealers can rely on our expertise in all areas of the business. AEC has been operating a professional dealer network in Europe since 2011. Starting a collaboration with us is an easy process for the dealer. One of AEC’s core competences is its leading engineering team that concepts and manufactures all the homologation processes in-house. AEC re-engineers the vehicles for the European market in one of the largest European port facilities using its patented parts and processes. AEC works with market leaders in the areas of warranty, financing, LPG, logistics & more to provide the ultimate service package to the dealers. Becoming an official dealer is a solid investment. Low investment and easy concept allows to start generating profits right away. AEC has been in the business for over 20 years. Our main focus as a global automotive solutions provider has always been in the attention to detail. 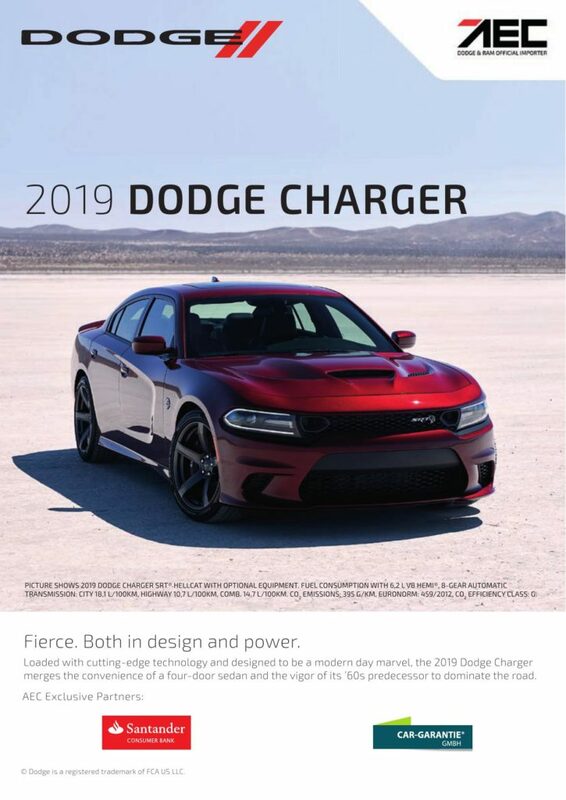 The Dodge and RAM business offers a lucrative opportunity for established dealerships and entrepreneurs. WE DON’T JUST SAY WE OFFER FULL SERVICE. Import business is a complex process due to collaboration with various service providers. AEC’s unique service concept allows its dealers to focus on sales. Quality: due to large volumes, AEC is able to secure competitive prices for premium quality in all areas of business. 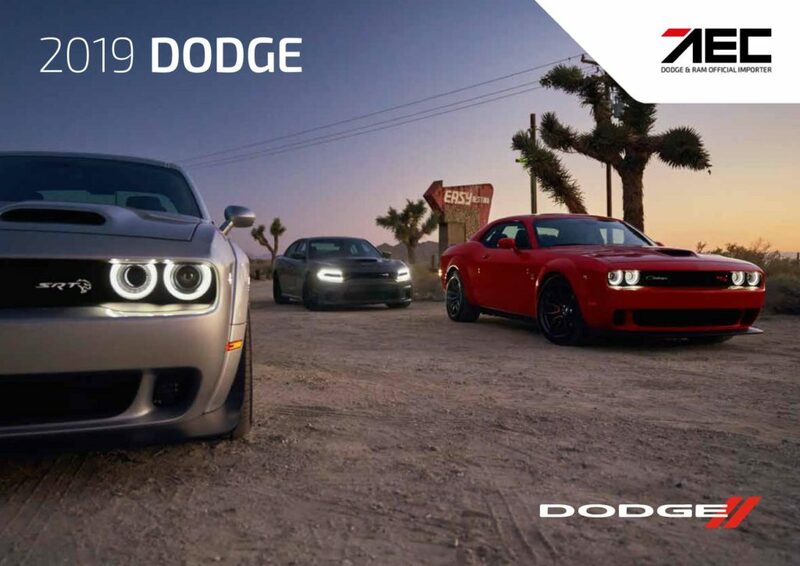 Dedication: majority of services and parts are developed and certified specifically for Dodge and RAM in Europe by AEC’s in- house professionals. Transparency: AEC’s team is always transparent about its capabilities. Time Investment: From import to after-sales support AEC ensures that the vehicles are ready for sale. Driving Awareness: in-house PR specialists guarantee attraction of new customer segments. AEC team ensures efficient inventory at all times – we monitor market demands and plan our production together with the factory to ensure smooth and timely delivery to our dealer network. Our experts understand your requirements towards our inventory very well. You want us to anticipate demand for various configurations and always have the high demand models on stock for fast access. Our team offers exactly that. Our inventory is always up to date as we don’t overstock and always ensure dynamic and fresh selection in our stock! If you don’t have your dealer access yet – contact us now at dealer@aeceurope.com. All AEC Dodge & RAM vehicles arrive in Antwerp and are handled in our facility by certified and trained technicians. Scalable Solutions: due to the remarkable growth of our retail channel in the past 6 years, AEC has relocated its port operations to Antwerp, Belgium to accommodate the growing demand. More Services: The creation of AEC’s VPC Service in Antwerp has lead to expansion of our industry-leading services and faster turnaround times, lower rates and even better quality of installations & technical work. Vast Experience: Our long-term established facility ensures fast and reliable services to dealers all over Europe. All AEC vehicles arrive in Antwerp and are handled by our team. AEC Import services include essential import fees so that you don’t have to worry about any hidden costs! TECHNICALLY SUPERIOR & STREET LEGAL. YOU HAVE OUR WORD FOR IT. AEC offers a care-free package based on single-type approval process. This in-house service ensures that our cars have the highest consistent quality on the market. AEC offers technical and commercial solutions to match any market requirements. Our testing is proprietary to AEC and offers market leading results in many areas. LONG-TIME EXPERIENCE WITH WARRANTY SERVICES. AEC OFFERS FULL SUPPORT FOR ALL TECHNICAL ISSUES. AEC provides the dealer and the consumer with professional solutions & end-to-end support incl. official Dodge & RAM training programs. AEC operates a support hotline to assist the dealers with all technical issues including damages, remote support for infotainment systems, homologation etc. All AEC vehicles get a navigation update in the port. A simple call/email to our helpful After-Sales Team and we will provide you with an immediate software update and solve your problem. Whenever a new firmware version is released, we will provide links and installation instructions. Each vehicle is supplied with an operating manual as well as an AEC-exclusive warranty service booklet. AEC uses the services of the official Dodge & RAM translation provider for main European languages. Moreover, AEC produces training manuals for its major services and products, such as the LPG training manual etc. AEC OFFERS OFFICIAL FACTORY SUPPORT. AEC OFFERS official factory support & PARTS. As an official general distributor, AEC offers access to all the official dealer tools, parts, equipment, training, and certifications that is offered in collaboration with the manufacturer. As a general distributor, AEC is also your official parts provider for original OEM spare parts and accessories bearing the MOPAR trademark. Once your dealership has been certified as an authorized service & recall point of after-sales, your dealership will have access to all the necessary parts, catalogues and manuals. AEC provides its dealers the opportunity to access Tech Autority – your official source to MOPAR information. You can find tutorials, body repair and wiring manuals, training, online subscriptions, diagnostics manuals and much more. 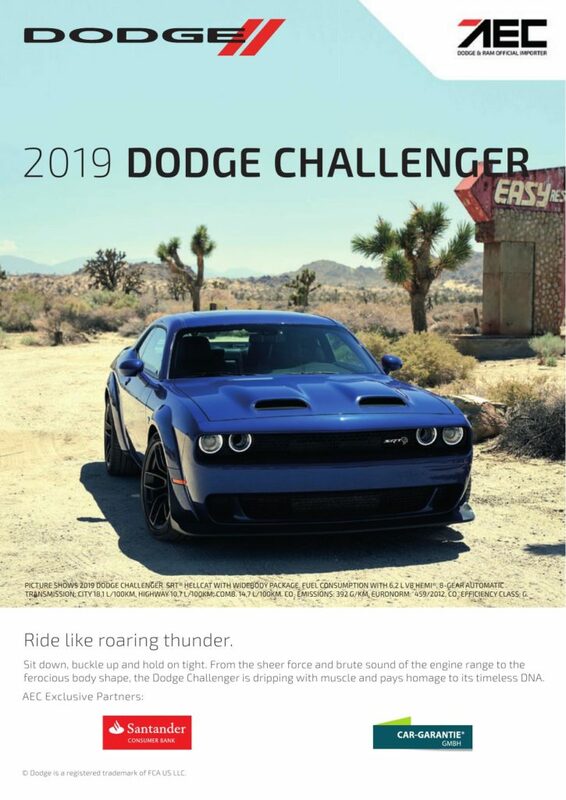 AEC participates in official Dodge & RAM “Train the Trainer” programs and offers factory-approved trainings to all its dealers to obtain full Dodge & RAM service & recall certifications. Additionally, access to official online learning tools is granted to dealers. Access is subject to the participation in the service certification program. AEC offers a carefully designed dealer package that allows you to concentrate on your business. AEC offers one-on-one or group trainings for dealers to increase product knowledge and ensure smooth communication with the end consumer. Your sales team can acquire product knowledge directly from an official importer! Dealer principals can check the performance in AEC’s Online Test Environment. AEC product team supports the dealers with dedicated Dodge & RAM webpages. Customers can search for the desired vehicle and sign up for a test drive. YOUR INVENTORY CAN BE FINANCED DIRECTLY THROUGH OUR COOPERATIONS WITH LEADING EUROPEAN BANKS. In select markets, AEC has an exclusive cooperation with Santander Consumer bank offering superior rates in both dealer as well as consumer financing. Our dealer floor plan financing offers great flexibility for your inventory. Depending on your credit score and financing needs, such financing lines can range from 200.000€ to 2.0 Mio € or more. Besides financing of your own dealer inventory, AEC also offers tailored financial solutions for your end customers. Whether competitive company leasing solutions or long-time private financing, our bank partners have vast experience in their respective markets and can always offer the right package for your needs. Financing: residual value, 0 down payment, budget financing, Santander AutoFlat for additional vehicle specific costs etc. Leasing: company and private leasing options using common market practices such as km- leasing, fixed value leasing, insurance products etc. In collaboration with FCA, AEC offers guidelines that allows its partners to become official dealers. The moderate cost will ensure a timely pay off of your investment. All AEC dealers will have an opportunity to comply with minimum brand CI standards to obtain the lucrative status of an official dealer. Dealers must carry sufficient inventory & demo vehicles at all times as well as report all sales and inventory information in a timely manner via the AEC stock inventory management portal, Dealerport. Contact our Business Development Department now to find out the full requirements of becoming an official Dodge & RAM point of sale. Contact dealer@aeceurope.com for more details! The full requirements are outlined in a dedicated brochure that can be provided upon request. Meet our team to discuss your next steps!